We are so proud of all of our members who represented Licking County at the Ohio State Fair this year! 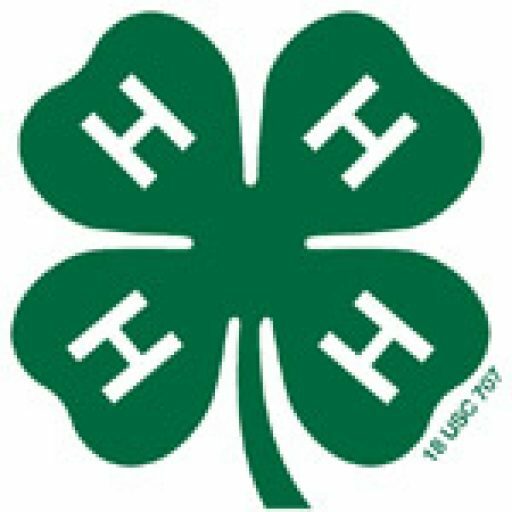 If you would like to find out the results from the various project judging and competitions, you can find the results on the Ohio State Fair and Ohio 4-H websites. 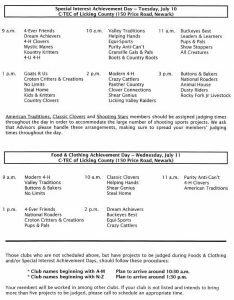 If you were selected as a winner but were not able to stay for the awards ceremony to pick up your ribbon or trophy, those items should be sent to the Licking County Extension Office some time in the next few weeks. Please call our office at 740.670.5315 to see if we have the awards before you make the trip in. 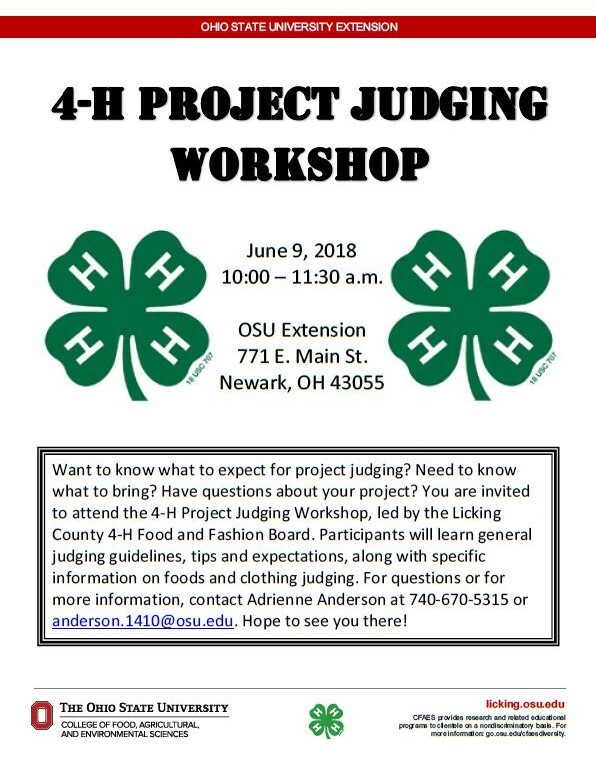 REMINDER: Special Interest Project Judging is Tuesday, July 10th and Food and Clothing Judging is Wednesday, July 11th. 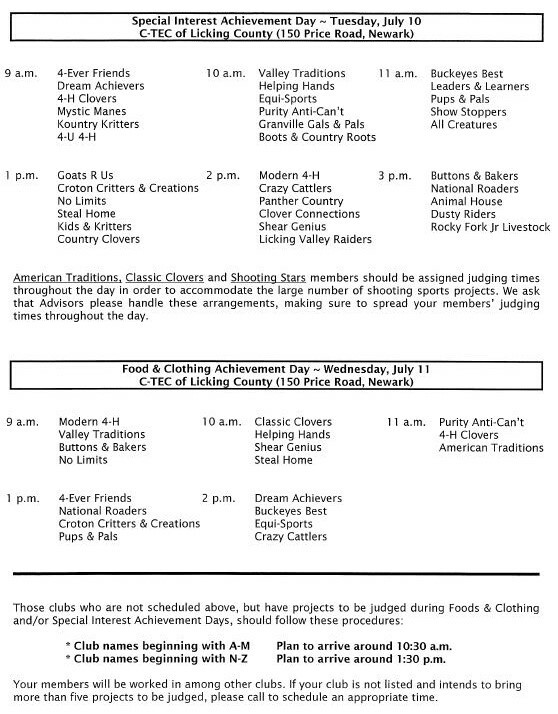 Please follow the schedule below for when you should come to judging. We ask members to please arrive 15 minutes before their scheduled judging time to allow time to get checked in and fill out the top portion of their score sheet. 4-H Committee members will be available to help members check in. We suggest you park on the west side of C-tec and enter through the door by the preschool playground. There will be signs to help direct you to the judging area. 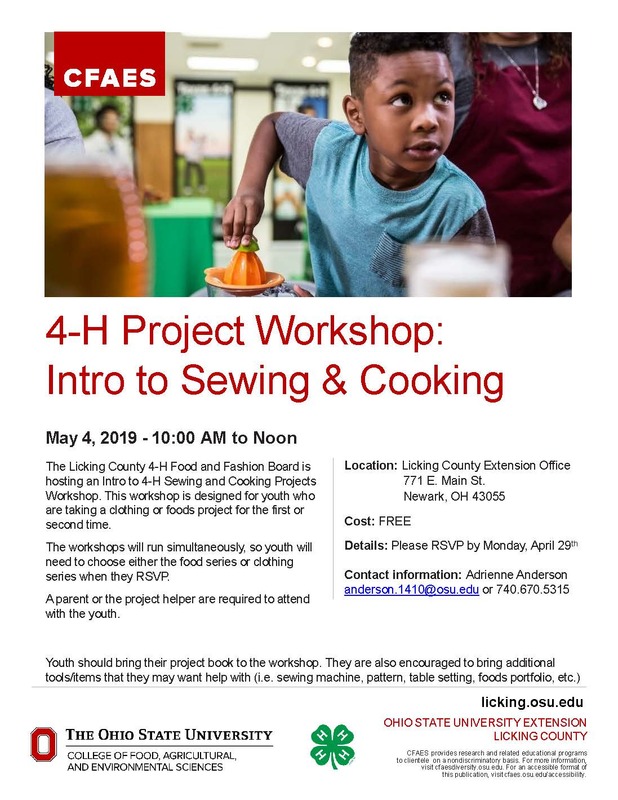 Please check out the schedule for project judging for Special Interest, Foods and Clothing Projects. We ask members to please arrive 15 minutes before their scheduled judging time to allow time to get checked in and fill out the top portion of their score sheet. 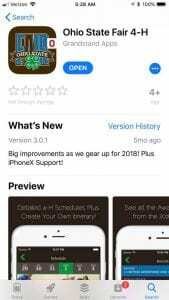 4-H Committee members will be available to help members check in. 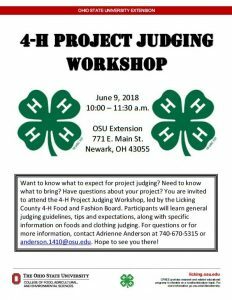 If a 4-H member is unable to attend Special Interest Project Judging on July 10th or Food and Clothing Project Judging on July 11th (on vacation, at camp, at a competition, etc. ), s/he should sign up for Early Project Judging on Friday, June 29th. 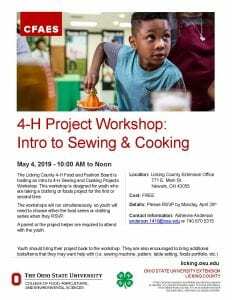 Early judging is by appointment only, so please call our office at 740.670.5315 to schedule a time. 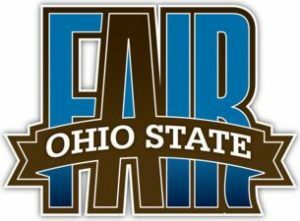 If a Special Interest, Food, or Clothing project is not judged at either early judging or the regular judging day, that project will not be eligible for a grade or any county awards and cannot be selected to represent Licking County at the Ohio State Fair.